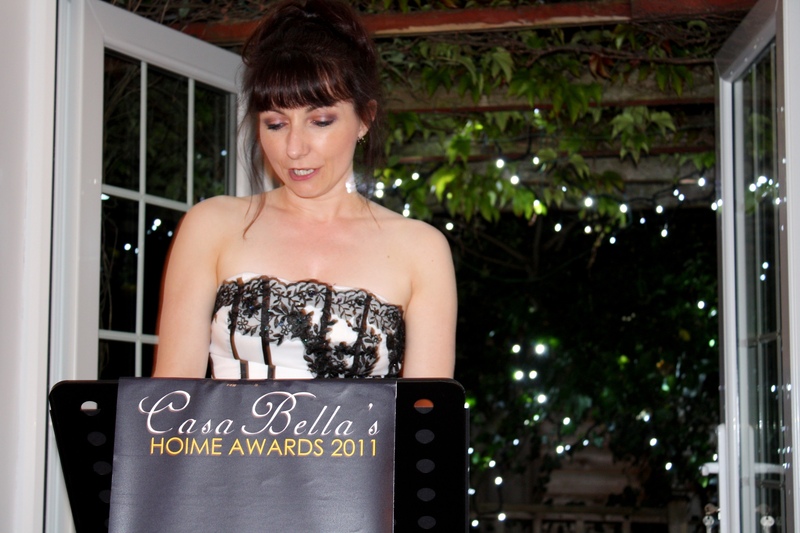 It’s been nearly a year since Casa Bella’s HOIME Awards. Casa Bella’s HOIME Awards 2012 will not take place this year because they are making way for another glitzy event; the rebrand of my company CGA Enterprise Solutions. The rebrand is long overdue since I acquired the company in January of this year so there’s not much expense spared with a lavish event due to take place on the 30th of this month, and it promises to be a very exciting evening for a variety of reasons. The gala will be attended by most friends and family and will also feature a smattering of clients! And it’s that element, of course, which adds a good dose of terror for someone like me who, of course, despite the company sponsored event, insists on personally conceiving and executing all of the possible detail although, this time round, much of it will be out of my control (the event is not taking place at Casa Bella but at an appropriately researched hotel). All of this has sent my OCD into overdrive because there are many details and variables over which I have no control. I guess I just have to learn to accept some things that I cannot control, such as whether or not the autocue will actually work when I take my place in front of all of the assembled guests to deliver the Managing Director’s speech! The 30th of June will also mark over 2 years since the village store turned into our beautiful events room for which we’re most grateful. And, quite frankly, I don’t think I’ve ever loved that space as much when it was a shop! Sorry ex customers but that’s just how it is. I can quite honestly say I have not and doubt ever will miss that shop. This event will be so fantastic, I know that you can create the CASA BELLA magic anywhere and with anyone!